Don't miss out. There's only 1 available and 3 other people have this in their cart right now. Don't miss out. There's only 1 available, and 3 other people have this in their cart right now. 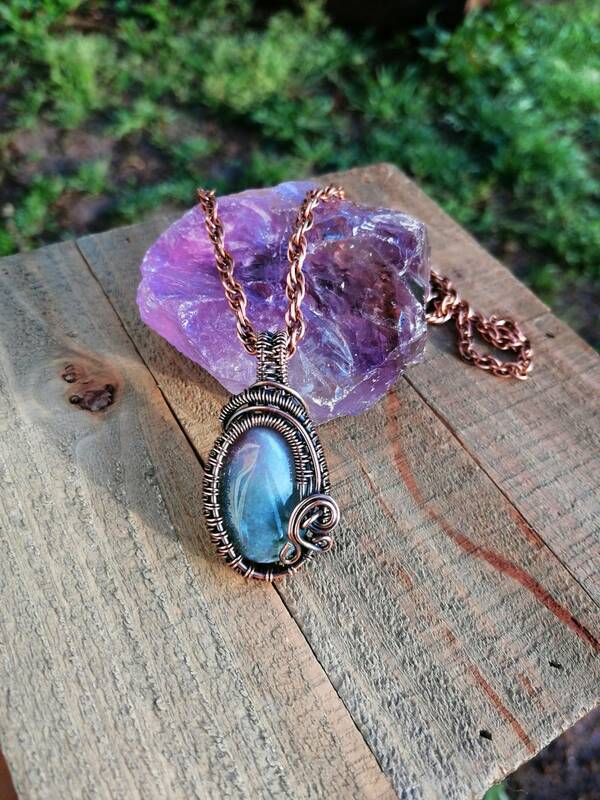 This listing features an Indian Agate Copper Woven Pendant. It measures 45x23x9mm and it hangs on a Copper Chain measuring 24' inches long. The copper was oxidized, polished and sealed. The copper chain it's also sealed. The Indian agate gemstone is a positive healing influence, it was used secretly by sages a long time ago as a secret weapon to give them courage to conquer their greatness. Giving you confidence, physical strength, and emotional security. ... The Indian agate is part of the sacral chakra gemstone family.